This new study was led by Son Nghiem, who is part of NASA's Jet Propulsion Laboratory in Pasadena, California, used satellite data alongside his research team to measure the surface temperature of northern rivers. They measured the temperature of Canada's McKenzie River as it dumped into the Beaufort Sea during the summer of 2012. 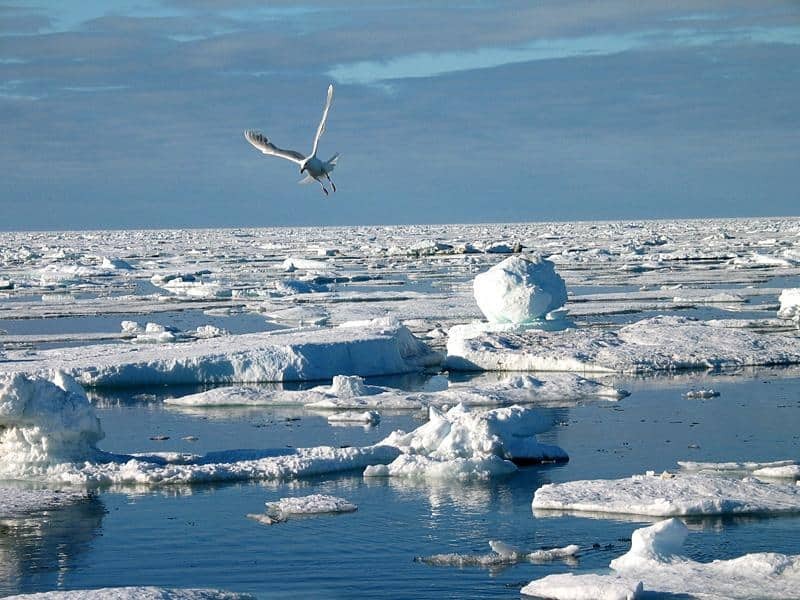 The researchers choose the summer of 2012 because that year held the record for the smallest total extent of sea ice measured in the Arctic in over 30 years. The research team used data from satellite microwave sensors to examine the study area from 1979 to 2012 and then compared to the reports of the McKenzie River discharge. The research team noticed that due to the sudden influx of warm river water, it drastically warmed the surface water of the ocean causing an increased melt off of sea ice. This ice melt contrasts with the ice melt that is occurring in Antarctica. The southernmost continent is without any large flowing rivers so that sea ice surrounding the continent has been relatively stable while Arctic sea ice has been declining over recent years. The research team states that these warm river waters are increasing due to three factors: increased volume in rivers, drainage basins heating up and Arctic sea ice becoming thinner and more fragmented. As the sea ice thins and breaks apart, the more the reflective layer disappears allowing for more solar heat to be absorbed and increased warming of surface layers. These three factors combined started the melt and as they continue will only further increases Arctic sea ice melt.